The official Kick Off Meeting, which is taking place at the Secretariat of the Forum for Agricultural Research in Africa (FARA), Accra, Ghana, aims to provide visibility to the project while proving opportunity for engagement, reflection and discussions by officials, authorities and stakeholder representatives. The meeting generated useful feedback and recommendations for the implementation of the Project. In addition, the GA provided an opportunity to build a shared vision of the project by clarifying contents of work package activities, the reporting line and work plan for year 1. 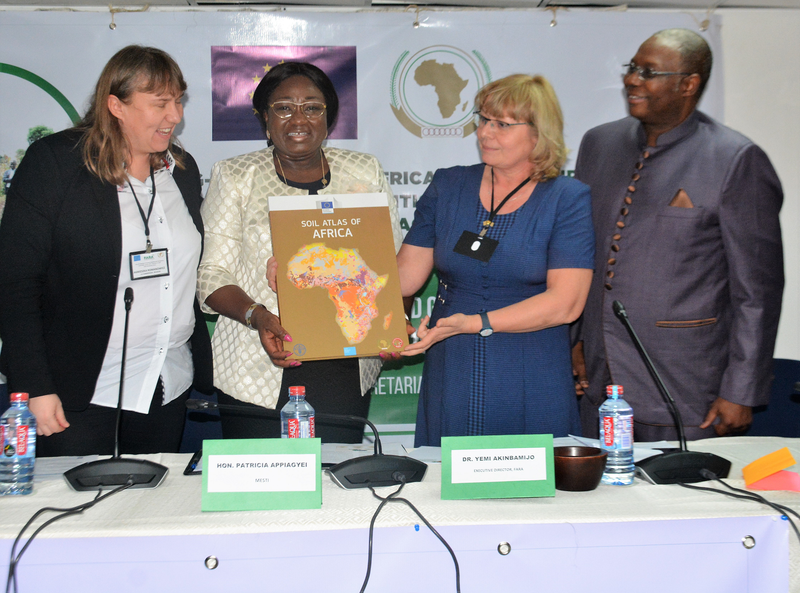 The event brought together over 75 participants from across Africa and Europe including the Minister of Environment, Science, Technology and Innovation (MESTI) of the Republic of Ghana and European and African Ambassadors representing countries involved in the project in Ghana for day one. Leap4FNSSA is a Coordination and Support Action (CSA) whose main objective is to provide a tool for European and African institutions to engage in a Sustainable Partnership Platform for research and innovation on Food and Nutrition Security, and Sustainable Agriculture (FNSSA). Increased synergies and coherence between actors, research and innovation projects, initiatives and programmes, through the development of institutional alliances and clusters of projects. An enhanced learning environment and large knowledge base, including monitoring and evaluation activities, and established communication and links between different initiatives in order to improve European-African cooperation in Science, Technology and Innovation (STI). A well-established long term sustainable partnership and co-funding mechanism. The project will have a 4-years duration, from November 2018 to October 2022.